Where Global Warming stopped 18 years ago, in preparing for Natural Climate Change ‘going forward’, are we looking at Global Cooling as a possibility? If not, why not? What happens to our democratic public policy debate when 99% of journalists and 99% of politicians are scientifically illiterate? When Global Warming stopped, did anyone ask why the settled science wasn’t working? 97% of scientists said they were very concerned about Global Warming; that it was happening, that it was dangerous, that it was unprecedented, and that we must act now. The Catastrophic Man-Made Global Warming science is settled and the general scientific consensus (over 97% of all scientists) says a) human carbon dioxide emissions are the main cause of, b) increasing atmospheric concentrations of carbon dioxide which is the main cause of, c) our current global warming which is unprecedented, accelerating and dangerous and which is the main cause of, d) melting ice caps, rising sea levels, increasing storms, droughts, floods and extreme weather events and, e) if we don’t act now by reducing carbon dioxide emissions and paying large amounts of cash to third world dictators and UN bureaucrats we will reach an unstoppable unimaginable catastrophic tipping point. The ‘97% of scientists’ is pure fabrication and the ‘Settled Science is clearly unSettled by an absence of warming’. Few journalists or politicians ever questioned these tenets of faith. Why? Suppose a journalist, perhaps even you, received a copy of an internal Secret Government Report via Wiki-leaks or an A4 envelope from a senior public servant containing information on the most expensive and disruptive Public Policy Program Australia (or any western democracy) has ever seen. What would you do with it? And suppose the Report stated categorically and with convincing supporting evidence, that in addition to the failure of the so called Settled Science Models (SSM) to match reality, that no proper Due Diligence has ever been conducted by any Australian Government Agency or any government agency anywhere, on said Public Policy, you would at least examine and check out the key points wouldn’t you? “…..In this revolution, research has become central, it also becomes more formalized, complex, and costly. A steadily increasing share is conducted for, by, or at the direction of, the Federal government. The most expensive and disruptive Public Policy ever perpetrated on the western world by a small clique of activist alarmist scientists, politicians and green carpet-baggers, a scientific and technological elite if you will, is that of Catastrophic Anthropogenic (man-made) Global Warming (CAGW). As the Scottish journalist Charles Mackay in 1841 in his book, ‘Extraordinary Popular Delusions and the Madness of Crowds’ illustrated, sometimes an ill-informed political elite and a propaganda prone crowd can believe almost anything. In propaganda terms, tell the Big Emotional Lie loud enough and often enough and You Will be believed. In our First Journalistic/Scientific Experiment/Observation we will look at the 97% of all Scientists myth. 97% of ALL SCIENTISTS AGREE that CAGW is happening. Now where does this widely cited statistic come from? Even though Science works on the basis of empirical evidence, many journalists and politicians are influenced by consensus and so if 97% of all SCIENTISTS AGREE that CAGW is happening, then a journalist or politician isn’t going to need to look at the scientific evidence is she? Who am I to argue with 97% of all scientists, is the catch cry! The hypothesis that a consensus of 97% of ALL SCIENTISTS AGREE that CAGW is happening, is therefore a very POWERFUL public relations line and fits the narrative that almost all scientists around the world are so concerned about CAGW that we must do something now before it is too late. But does the evidence support the hypothesis? 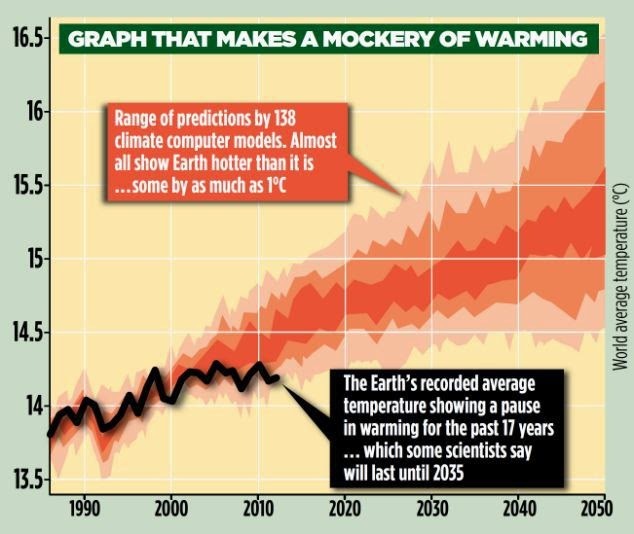 AbstractWe analyse the evolution of the scientific consensus on anthropogenic global warming (AGW) in the peer-reviewed scientific literature, examining 11,944 climate abstracts from 1991–2011 matching the topics 'global climate change' or 'global warming'. We find that 66.4% of abstracts expressed no position on AGW, 32.6% endorsed AGW, 0.7% rejected AGW and 0.3% were uncertain about the cause of global warming. Among abstracts expressing a position on AGW, 97.1% endorsed the consensus position that humans are causing global warming. In a second phase of this study, we invited authors to rate their own papers. Compared to abstract ratings, a smaller percentage of self-rated papers expressed no position on AGW (35.5%). Among self-rated papers expressing a position on AGW, 97.2% endorsed the consensus. For both abstract ratings and authors' self-ratings, the percentage of endorsements among papers expressing a position on AGW marginally increased over time. Our analysis indicates that the number of papers rejecting the consensus on AGW is a vanishingly small proportion of the published research. The second line of this abstract alone (….We find that 66.4% of abstracts expressed no position on AGW), itself destroys the paper’s very dubious 97% conclusions. In the next day or so we will send you a detailed, evidence based discussion on point 2, the collapse of the CAGW hypothesis, above. 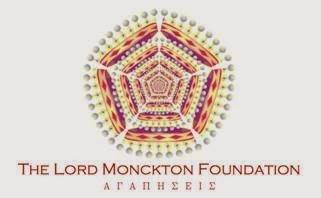 Should anyone wish to follow up on any of the actual science in more detail or if any journalist or politician wishes to interview Lord Monckton on any of the above or anything else for that matter, for example during his Visit to Australia between the 10th September and the 1st October 2014, please feel free to contact me. Christopher Monckton is in Australia to catch up with friends and to meet with any journalists, politicians or business leaders who wish to be brought up to date with the latest trends in international climate research and climate policy.